Online security has become a crucial topic for many users, and with a growing number of malware, data thefts, and ransomware, it’s crucial that you keep your PC protected at all times. In order to keep up with the latest threats, antivirus companies are constantly improving on their software, and the same goes for Bitdefender. Bitdefender recently released the latest version of their Total Security software, so let’s see what Bitdefender Total Security 2019 offers and how it compares to other security tools. 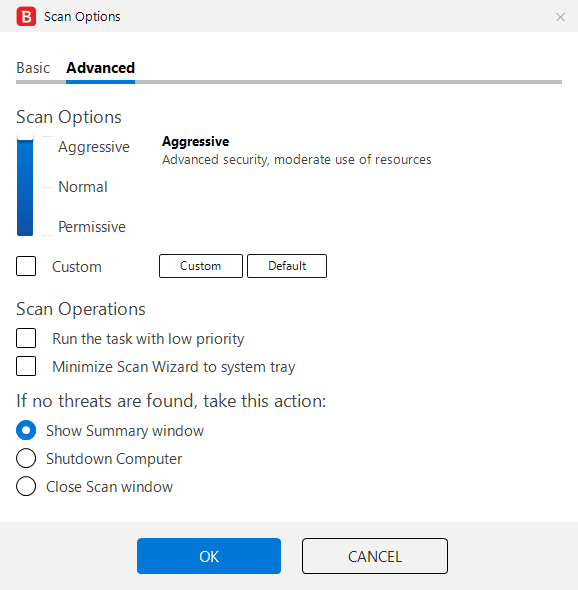 Bitdefender Total Security 2019 has a straightforward interface, allowing you to quickly access both advanced and basic features alike. Just like the previous versions, Total Security 2019 offers complete real-time protection against all malware. The software also has a behavioral detection feature that analyzes your active applications in real-time. In case the application tries to perform anything suspicious, you’ll be informed and asked to choose the course of action. 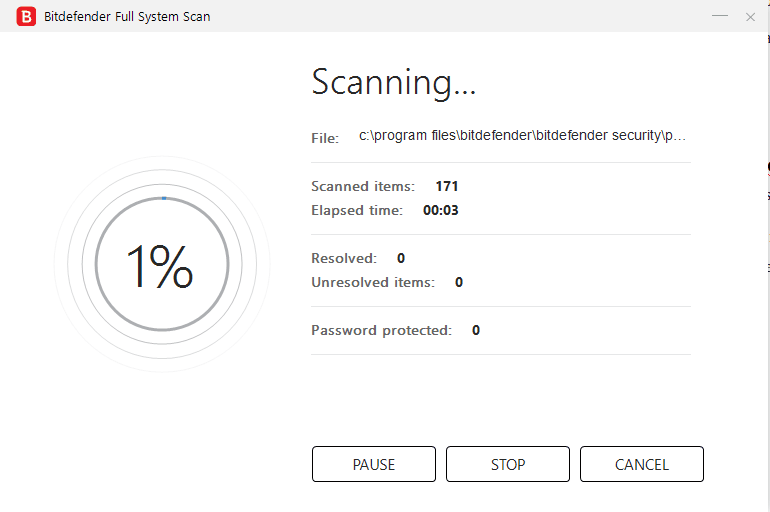 Just like any other antivirus software, Bitdefender Total Security offers both quick and full system scans, but you can also create your own custom tasks. As for configuration, you can change various advanced options and choose how detailed your scan should be. You can choose between three different levels, but you can also fine-tune your scan settings and choose which type of files you want to scan. We also have to mention that Total Security 2019 has a Rescue Mode feature that allows you to remove any viruses and rootkits before your system starts. There’s also a multi-layer ransomware protection that will protect your PC and your files. Another feature that users might appreciate is Safe Files, and with this feature you can protect specific files from malicious applications. To ensure that your files are protected, you can allow only certain applications to edit these files. Total Security 2019 also has a Web Attack Prevention feature that marks the potentially dangerous search results and warns you before you access them. In addition, there’s an anti-fraud feature, so you’ll be informed if you enter a scam website. Phishing protection is also available, so your personal information, such as passwords or credit card numbers will remain safe. Bitdefender Total Security 2019 has a new Network Threat Prevention feature that will analyze suspicious network activities and block various attacks. 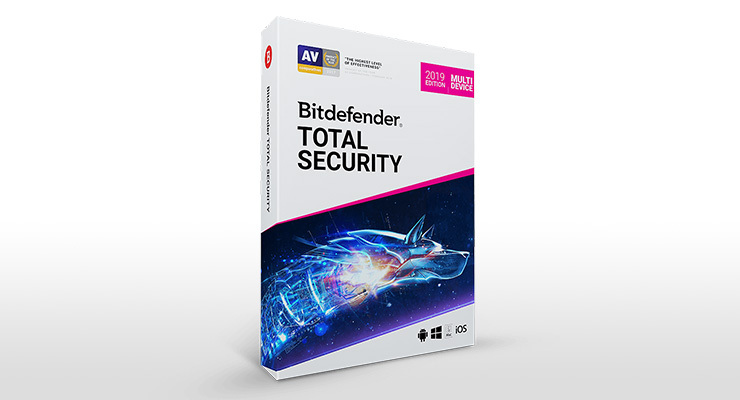 Just like many other antivirus tools, Bitdefender Total Security 2019 offers a built-in firewall that provides an additional layer of protection. 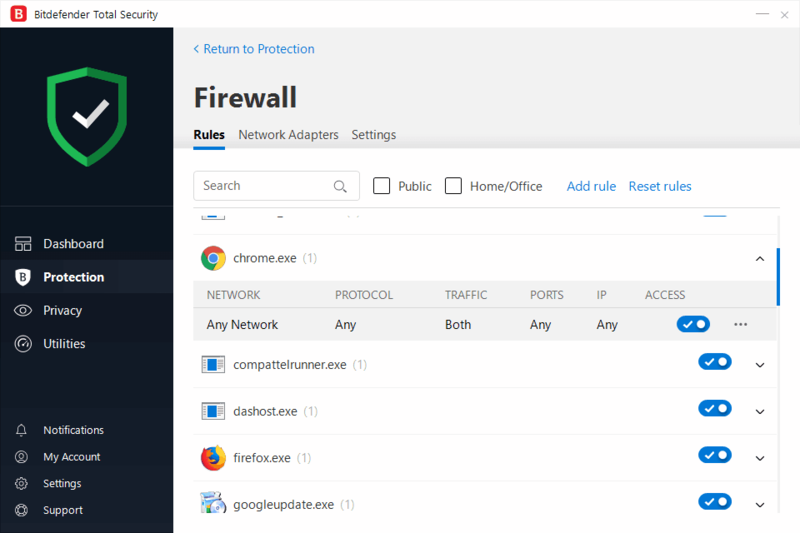 Thanks to the built-in firewall you can easily control which application can access the Internet. There are also advanced settings available, so you can edit each rule individually if you want. The firewall also has a port scan protection, as well as a Stealth Mode that will hide your PC outside and inside your network. 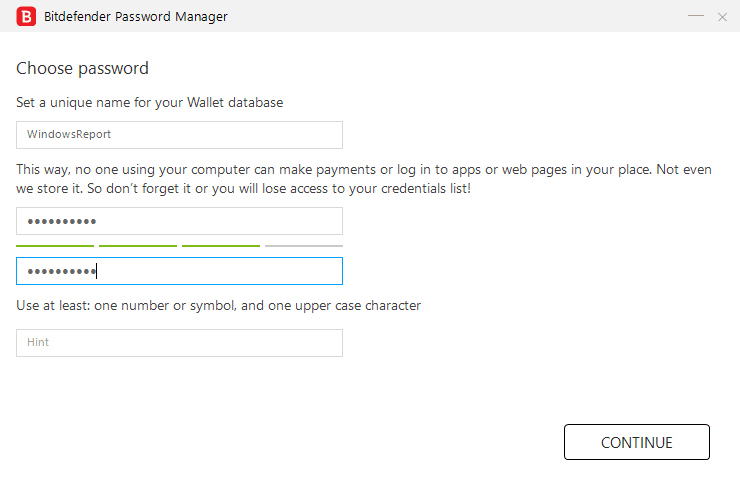 Remembering all your passwords can be hard, but if you want to neatly organize all your passwords and personal information in one place, the built-in password manager might be just what you need. Thanks to this feature you can sign-in to any website in just a couple of clicks, without entering your password. All your data is password protected, so other users won’t be able to access it without entering the master password. 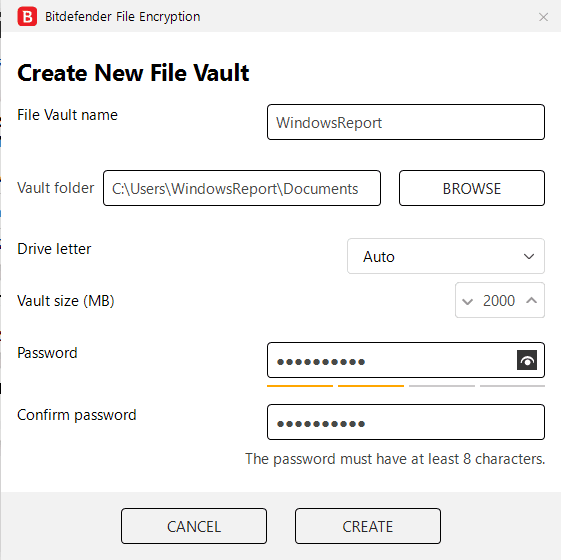 If you’re concerned that someone might gain access to your PC and view your personal files, you can always encrypt them using Bitdefender Total Security 2019. To do that, you just need to create a File Vault on your PC and protect it with a password. 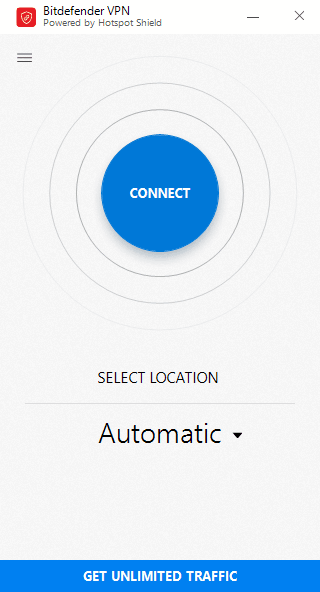 Simply choose the location of the vault directory, enter its size, set the password and you’re good to go. The vault will act as another partition on your system, but unlike with other partitions, all your files will be encrypted and the only way to access them is to enter the correct password. Just like the previous versions, Total Security 2019 has a Parental Control feature, so you can limit your children’s computer usage or block harmful applications and websites from running on their device. There’s also a webcam protection available that will prevent malicious users from spying on you. 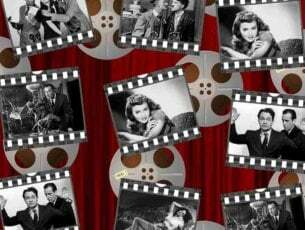 If you want a certain application to be able to access your webcam, you’ll have to manually approve them. The application also has a Safepay feature that allows you to make payments in a secure browser. If you’re worried that malicious users might obtain your personal or banking information, this feature is perfect for you. To ensure that your system is secured, there’s Vulnerability Assessment feature. This feature will scan your system for vulnerabilities, such as missing updates or outdated applications and inform you about any potential risks. Nowadays it’s not only malicious users that you have to worry about. 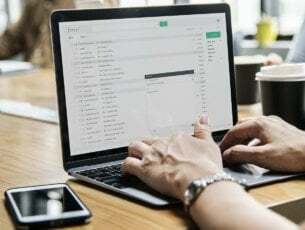 Many services will sell your personal information to the advertisers, and your ISP can also keep track of your browsing history, or even prohibit you from accessing certain websites. In order to provide maximum privacy protection to its users, Bitdefender has developed its own VPN. 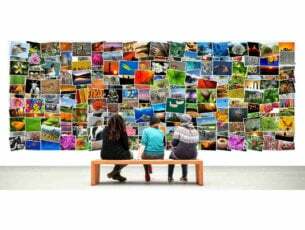 The VPN comes in several versions, and the Free version has certain restrictions. The first restriction is the data cap, and you’re limited to only 200MB per day. In addition, you won’t be able to choose the desired server, and instead you’ll be connected automatically to a random server. On the other hand, there are both Monthly and Yearly subscriptions, and both subscriptions allow you to choose your server, so you can easily unlock any region restricted content. In addition, both subscriptions offer unlimited traffic, so if you’re looking for a good VPN, Bitdefender VPN is the right choice for you. 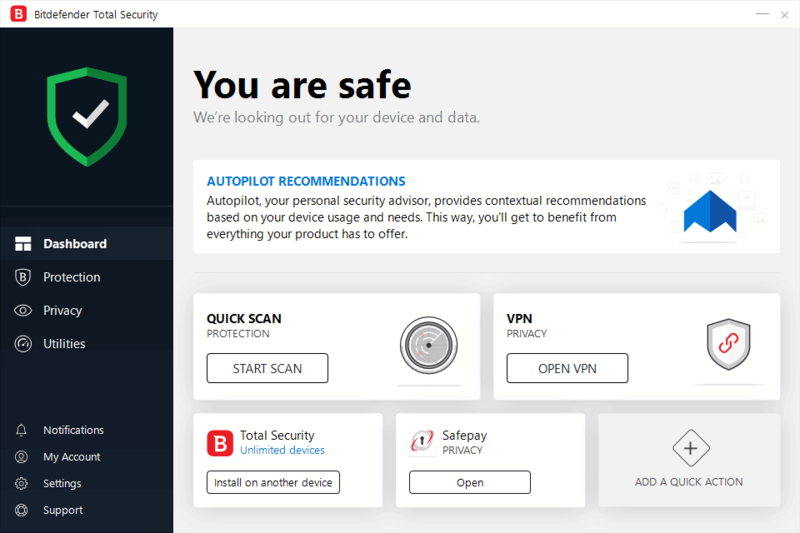 Bitdefender Total Security 2019 offers some amazing features, and almost all of its security features were improved. The application also has some new features such as Network Threat Prevention and VPN. Bitdefender Total Security 2019 is available on all major platforms including Windows, macOS, iOS, and Android. A single license can be used on up to 5 different devices, which is great if you need a security software for your entire home or a small company. Of course, you can also get a license for 10 PCs if you need to protect more devices. The latest antivirus from Bitdefender improves everything that was great about the previous version while adding some fresh features that will protect your privacy. If you’re looking for a complete multi-platform security solution, Bitdefender Total Security 2019 is the right choice for you.